Martin Sports Productions is the nations foremost thematic sports environment design and production company. 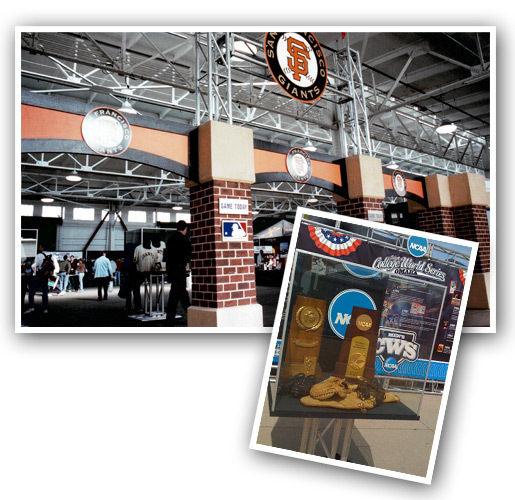 MSP is a visionary leader in creative, design and production in both the collegiate and the professional arena. As an organization MSP prides itself in the effectiveness of its presentations to engage, educate and entertain fans while at the same time to market the client’s brand to consumers and fans alike. Martin Sports Productions is able to deliver high quality presentations and promised outcomes due to its unique positions within the fanfest industry, namely, its complement of highly-imaginative team members, in-house access of all props, exhibits, sets, lights and structural design forms and its focused and genuine passion for sports.